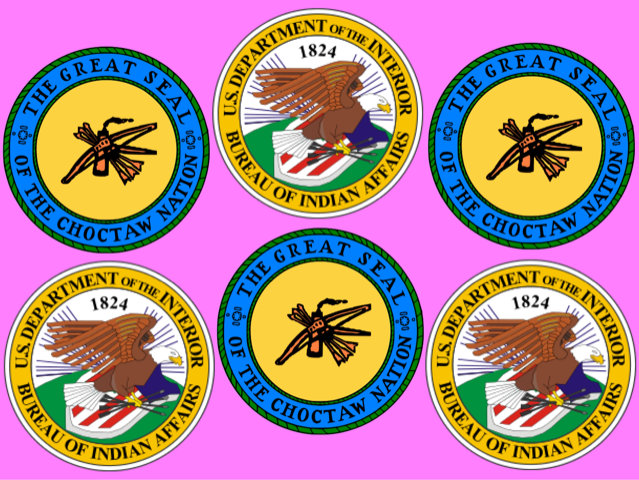 Courtesy Wikimedia commons AKEC has "race cards" bearing the logos of the Choctaw Nation of Oklahoma and the Department of the Interior. It is a dreary Friday afternoon in April and I am standing with my back to a banister in Weld, talking to a boy from Tufts who has just asked me what I do on campus. I tell him I’m part of The Crimson and Native Americans at Harvard College, and I brace for what’s next. Usually, this question comes with the interrogative “oh” attached. I’ve found that this makes it slightly less accusatory, though the less frequent (but slightly more exasperating) “Wait, you’re Native American?” shows up, too. “Yes,” I reply, and brace myself further. I think I know what his next question will be, and my intuition doesn’t fail. When Senator Warren released the results of her DNA test on Oct. 15, it felt like the Indian world exploded a little bit. The Cherokee Nation released a statement condemning Warren, reiterating that even though she claimed Cherokee ancestry, she was not a member of the Cherokee Nation. Indian Country Today released an article calling Warren’s video “a strike against sovereignty” on the grounds that it undermined tribal governments’ right to decide tribal enrollment and reinforced the settler-colonial idea that DNA proves Native heritage. Activists and scholars expressed indignation and anger on social media. In HIST60O: American Indian History in Four Acts, Philip J. Deloria’s Native American history seminar, we talked about the ridiculousness of it all and how it factored into the “percentage” question on campus, how it falsely conflated blood quantum with heritage. I get the percentage question all the time, and until recently I’ve just accepted it as a fact of life. I don’t look stereotypically Native — I have hazel eyes, pale skin and brown hair. If I don’t identify myself as such, maybe no one would know. I’m proud to call myself Choctaw, but I can see the doubt on people’s faces whenever the name comes up. Blood quantum, that nasty little phrase, varies tribe to tribe. Every tribe has different qualifications for membership, and some are stricter than others. The Five Civilized Tribes (the Choctaw, Cherokee, Seminole, Muscogee (Creek) and Chickasaw Nations of Oklahoma) use the Dawes Rolls, which are physical lists of tribal citizens compiled near the turn of the 20th century. In order to receive tribal benefits and land allotments, individuals had to prove that they were Indian and were therefore entitled to these things under law; now, they must prove that their Indian ancestors are listed on these rolls. The Dawes Rolls were a part of the Dawes Commission, an agreement that Oklahoma tribes that ended the reservation system and divided up communally-held tribal land into allotments for individuals. It rested on the idea that if Natives were forced to own their own land and farm it like white people did, they would become “civilized.” It came out of a long tradition of “killing the Indian to save the man,” an aphorism frequently quoted in historical documents from the 18th and 19th centuries. I occasionally joke about being able to literally pull the race card, because I have two. One is a piece of white plastic that bears the Choctaw Nation of Oklahoma seal, certifying that I am “a member by blood” of the tribe. The other is a piece of white cardstock sealed up in stiff plastic laminate, issued by the Oklahoma Regional Office of the Bureau of Indian Affairs, bearing my name and blood quantum in ugly typewriter script with the seal of the Department of the Interior in the upper left-hand corner. I can see perforation on its edges, where it has been torn from other pieces of white cardstock. I sometimes wonder whose cards were printed next to mine. Though these cards may be proof of my DNA, they’re not the full story of my heritage. They don’t show the hours I spend in the backseat of my dad’s truck, watching cotton fields and rocky scrubland pass by as we travel from our home in Texas to the heart of Choctaw country in Oklahoma for festivals. They don’t show the glow of my laptop as I sit before it into the early hours of the morning, whispering words in the Choctaw language as I attempt to get the pronunciation right, trying to learn from Powerpoints released by the Choctaw Nation. They don’t show the stories that my parents and grandparents have passed down to me, the ones that come up in casual conversation, the small but ever-present reminder of who we are as a family. Warren alludes to the distinction between ancestry and heritage, though I don’t believe her “family story” video differentiates the two enough to be a helpful contribution to the argument. “Heritage” gets thrown around at the beginning of the video, when Warren’s colleagues at various law schools assert that her “heritage had no bearing on her hiring.” Four minutes into the video, “heritage” miraculously transforms into “ancestry” and “family history,” when Stanford professor Carlos Bustamante says that she definitely has a Native American ancestor. “Heritage” isn’t mentioned again until the video’s end, when a blue screen urges viewers to “learn the facts” at elizabethwarren.com/heritage. Here, “heritage” does not function as an intimate description of personal identity. It’s a buzzword: it sounds much worse to say that Trump and his supporters are attacking her “heritage” than it does to say that they are attacking her proof of ancestry. Warren answers the dog-whistlers in a conversation about indigeneity without indigenous input. She makes it seem like the percentage question is something that actually deserves an answer. Before Warren, it was possible to brush off the percentage question, to chuckle and chalk it up to a poorly-phrased remark from a well-meaning person who just doesn’t know any better. Now that blood quantum has been solidified as a political maneuver, I feel like the percentage question has lost its innocence. A few days before the video was released, I received a text from the president of NAHC. It was a picture of Elizabeth Warren standing in the conference room of the fourth floor of 14 Story Street, the office of the Harvard University Native American Program. I don’t know why she was there, who she talked with, or what she talked about. None of the undergraduates knew that she would be there that day. It was funny to see her standing next to the table where I have read countless papers, in front of the whiteboard where I write notes while studying for a midterm, in the room where NAHC holds all our meetings. Most of us have slept on the couch in the next room at some point or another. It just felt so close to home.